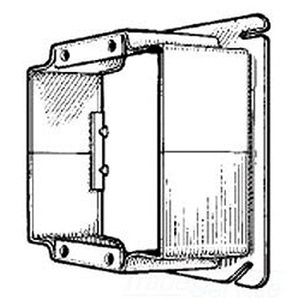 Mulberry Raised/tile device cover features steel construction with galvanized finish. Square cover has dimensions of 4-Inch x 4-Inch x 1-1/4-Inch and 2-device configuration. Cover is UL listed.